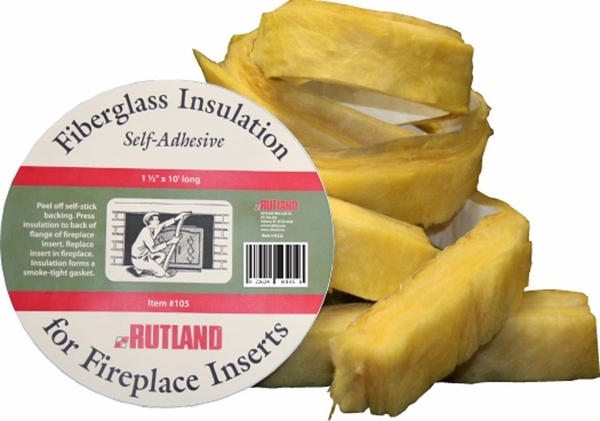 This Fiberglass Fireplace Insert Insulation by Rutland measures 1/2 in. W x 10 ft. long, and helps to form a smoke and gas tight seal between the fireplace insert and existing masonry application. To obtain your best overall stove performance, simply replace the insulation each time the insert is removed for cleaning. This products comes in a convenient size and features self adhesive with peel off backing for easy installation. Be sure surface is clean and free from soot or debris before applying. This fireplace insulation was a great buy! It?s easy to apply and works well. It has definitely helped in keeping our room insulated. I used this product in the installation process of my fireplace insert. It is very easy to use.